When the opportunity for this review came up I was a little leery about taking it. As a non coffee drinker I just kept thinking what am I going to do with these?? What purpose could they possibly hold for someone that doesn't drink coffee. I learned when they arrived that Torani is more then just a coffee flavoring. I received two flavors in the mail a Pumpkin Spice and a Vanilla Bean. While I have to admit the Pumpkin Spice Torani was used for just the plain old coffee ;o) I took it to work for our Holiday party and it was a huge success! Monday it was very very cold here and never made it past freezing. All the teachers were hovering the coffee pot waiting for their turn to warm up. When it came time for the Vanilla my first thought was how good it would be in my soda haha. Then an emergency situation came up! I was in the middle of making my first batch of fudge for the holiday season(see I told you it was important) and I realized I HAD NO VANILLA! As I am stirring my fudge and thinking how horrible it is going to be without it I turned to my husband to whine and knocked over the bottle of Vanilla Bean Torani and it hit me, I'll just use that. So after altering my recipe just a touch I was left with a delicious batch of fudge I wanted to share with my fans. Place sugar, butter and evaporated milk into pot( I use a large pot needs at least 5 quart pot though). Bring to a full rolling boil on medium. Once it reaches a full rolling boil cook for 4 minutes stirring continuously. Remove from heat and add chocolate and marshmallow creme STIR STIR STIR! 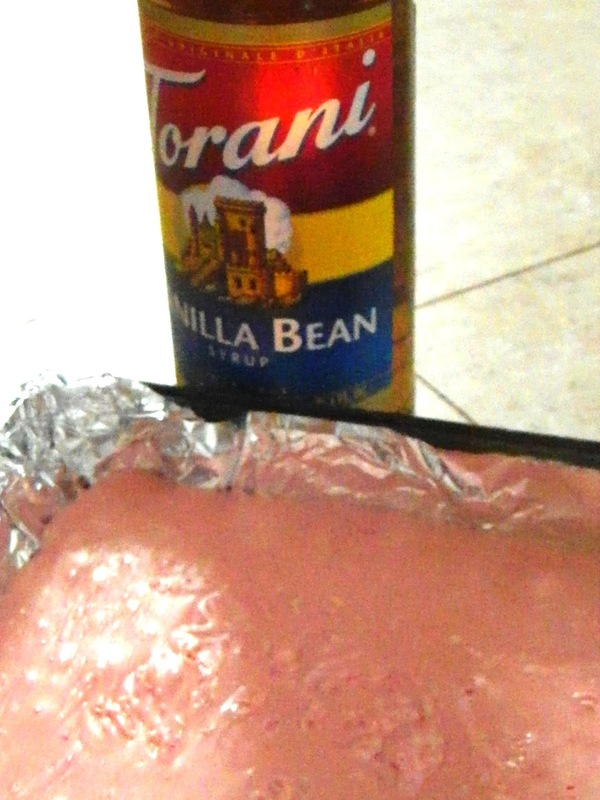 At the end stir in Torani Vanilla Bean Syrup and mix till fully combined. Pour into foil lined pan. Don't miss out on this $1 off coupon now on Torani. I would love to try this for coffee. I like that you can use it for more than that. LMAO I have never tried it.